With Tony Bellew looking at what could be his final fight, the former cruiserweight champion has other opponent in mind if he ever fought again. 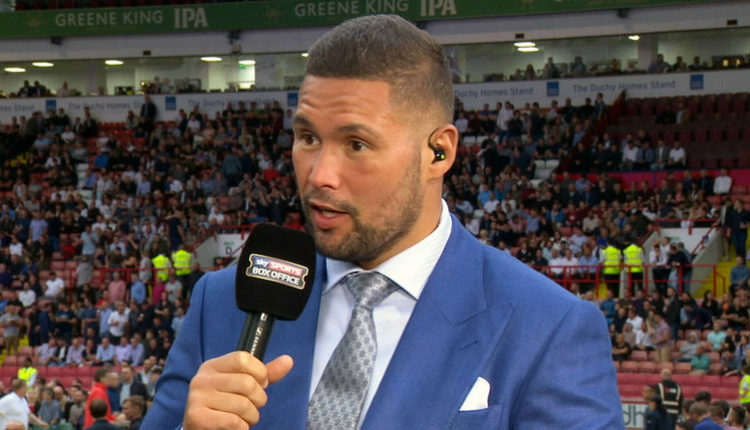 Bellew would love payback to his 2013 knockout loss to current WBC light heavyweight champion Adonis Stevenson, and feel if they fought at cruiserweight, it’d be a quick night. “I’m successful because I no longer have to make the 175-pound limit. I was no longer able to do that and it was very painful to respect that limit for my fight against Stevenson. During this duel, he was the best man in the ring during that night. He is a very good boxer. On the other hand, with what I have demonstrated over the past five years, I think I lost because I was completely dehydrated,” Bellew said to The Montreal Journal. “It’s a shame that Stevenson is not more active and does not face the best in his division. He did not lose to Badou Jack in his last fight, but the fight was very close,” Bellew said. Bellew now awaits his final fight on November 11th, as he faces undisputed cruiserweight champion Oleksandr Usyk. “It’s a huge challenge,” said Bellew. “As I announced last month, this will be my last fight and it’s a great opportunity to finish it at the top.